I volunteered for Kido foundation 2010-2011 and had a truly unforgettable experience. Located upon a hill in the North of the island, the volunteer HQ is surrounded by primary forest and facing spectacular panoramic views of the coast. The sunset each day is something to behold! The work involves spending time on idyllic beaches with crystal clear water and wonderful tropical animals such as pelicans, iguanas and sea turtles of course! What could be better? Kido is so much more than just a volunteer project in a beautiful location though. I learnt so much about conservation, video production, music and life in general - from the experienced and incredibly talented conservation duo: Marina and Dario. Their stories and experiences are amazing and inspirational. I made some friends for life, including the canine and feline variety too! Come here if you want an exciting project that combines conservation, music, video production, photography, working with kids and community and much more. 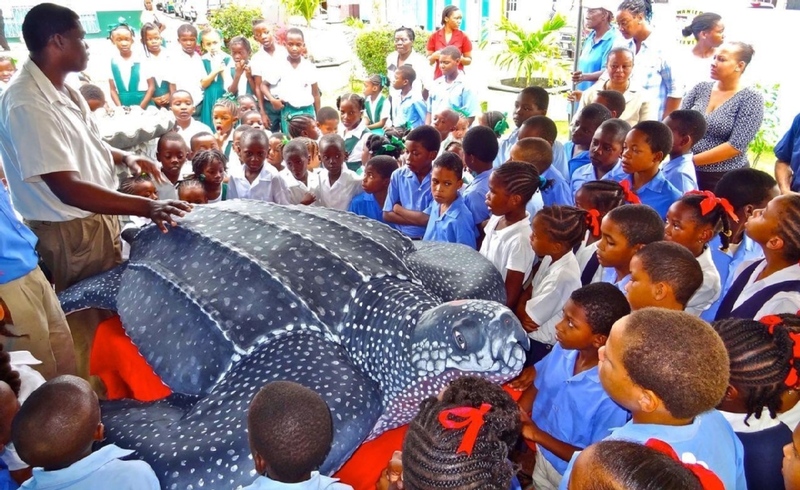 The project has a history of conservation success - raising awareness of the importance of wildlife in schools; training local adults and children in skills such as IT and photography; and ensuring the population of sea turtles and other wild creatures can live safely on the island. I have volunteered on many conservation projects around the world: Thailand, Greece, Honduras, the UK.. and I feel Kido is one that really stands out as unique from the rest. There's too much to say about this project and words cannot really do it justice - it needs to be experienced!